Well, that was fast. It seems like Pear OS, the venerable iOS look-alike, is gone forever. Just yesterday, it was announced in one of its forums that "Pear OS is no longer available for download and its future is now in hands of a company who wants to remain anonymous for the moment". A big letdown to its small but growing user base. Though I have never personally used one, Pear OS was widely regarded as the best Linux distro to use after elementaryOS, if you're someone who adore OS X look and feel. 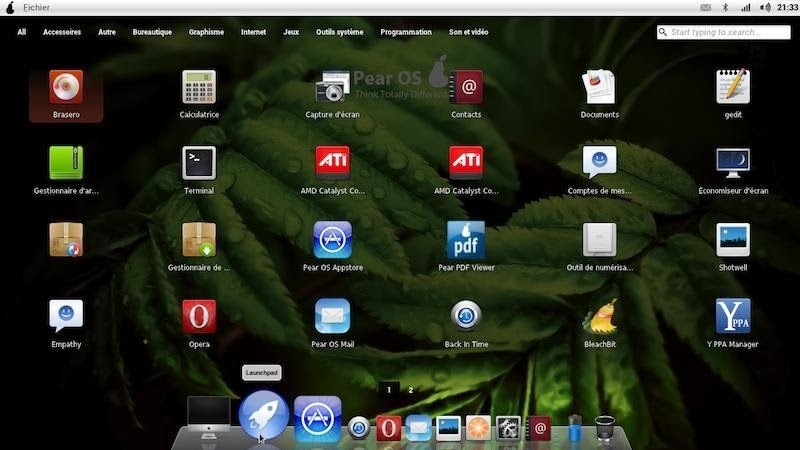 "Pear OS 8 blends the look and feel of Mac OS X and iOS 7 into Ubuntu. And it comes about the closest I’ve ever seen to providing a Mac-like experience in Linux," claimed Desktop Linux Reviews. All that is in vain now. Pear OS is bought by a "very large company" who wants to remain anonymous at the moment. It is said that this anonymous company wants to continue and improve the system for their own products. It is not clear whether the said company will ever release the "improved" product to the masses. Also, Pear Cloud users must recover their files immediately from their servers. In 10 days, the files will be deleted and the server will be offline. What if even one user fails to see this announcement and loses all his files stored in Pear OS servers? 10 days is just not good enough. The whole transition could have been managed in a much better and smoother way. We wish the project and the developers all the very best.